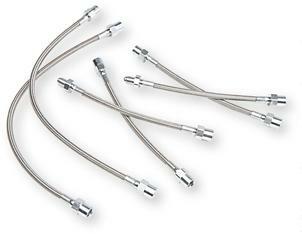 NEUSPEED brake lines are the finest you can buy! Each complete set is specifically engineered, designed and assembled to the correct length for your application. Inside, unseen is a high-quality Teflon tube covered by braided stainless steel for protection and durability, which results in a firm pedal for high-performance braking. You also get the highest quality end-fittings available.